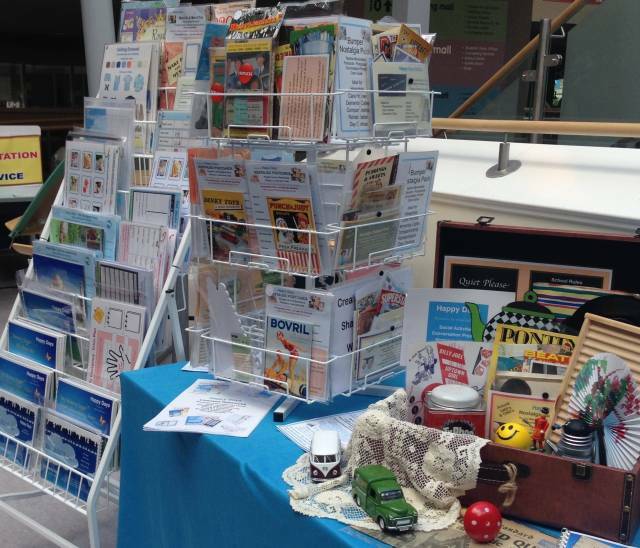 We just love to show off our assisted living resources, memory prompts, nostalgic materials and room displays for people who need extra care, elderly or people living with dementia. So if you have a care service, carer or dementia related event or exhibition in the North of England, please contact us – we would be happy to bring along a colourful display to share with everyone. – I’m really looking forward to chatting with you ..